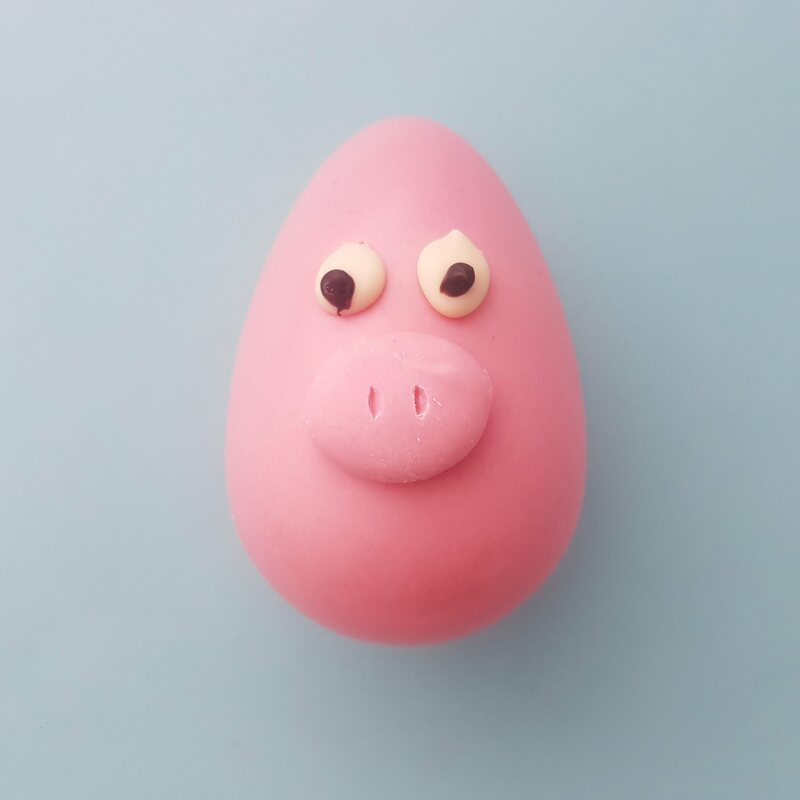 Piggy the Easter egg! 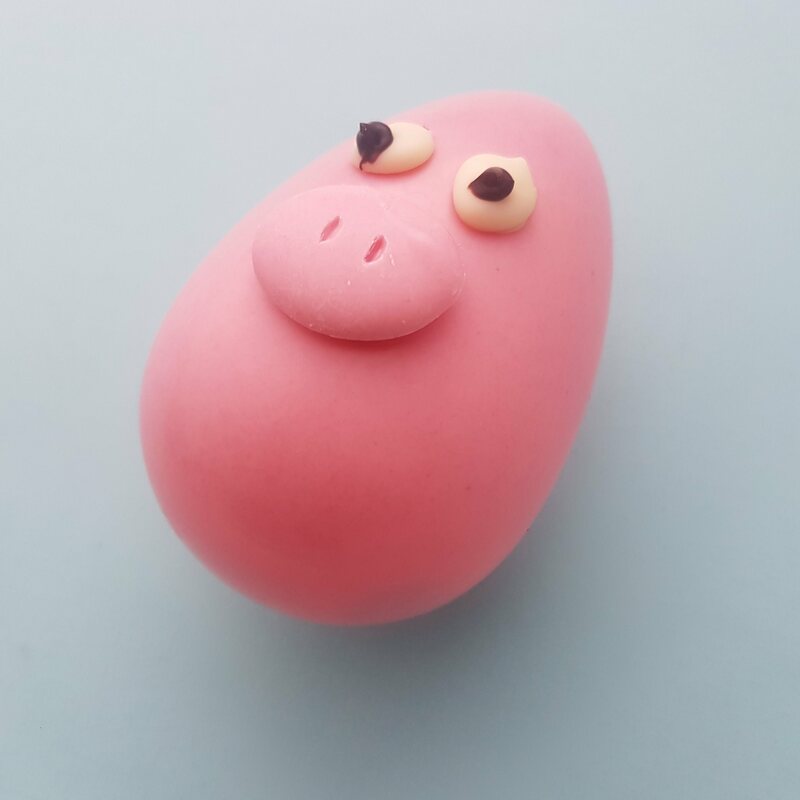 Pink coloured white chocolate hollow egg with chocolate pig snout and eyes. 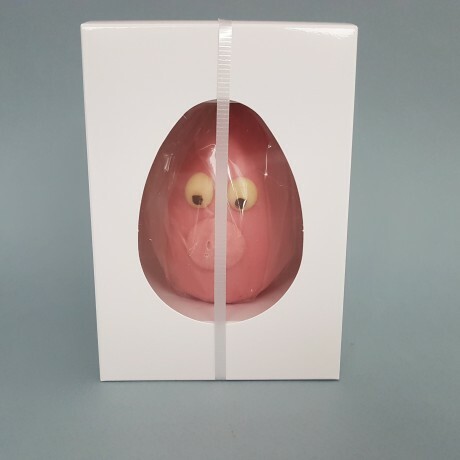 One of 4 Easter egg characters available - Mr, Mrs, Piggy and Birdy. Makes a fun and tasty gift for both children and adults alike. 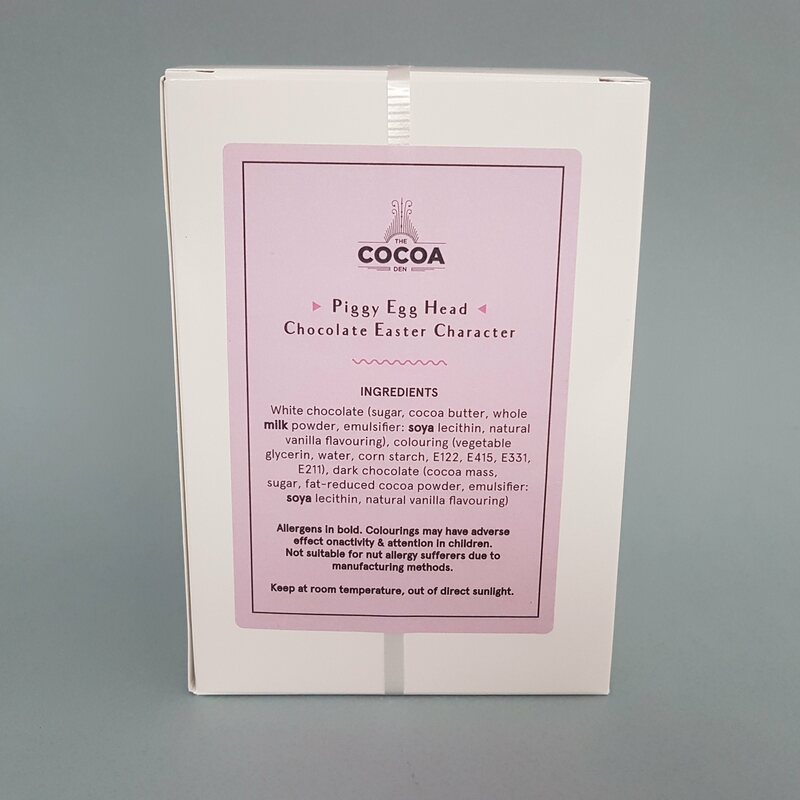 Handmade using quality Belgian white chocolate (the eyes also have dark chocolate pupils).